12th June 2008. In this Issue: Win one of 10 Waeco Fridge/Freezers with the ExplorOz Survey, 2 New Trek Notes, New ExplorOz Gear and our Fishing Photo Winners. Welcome to another fortnightly edition of the ExplorOz newsletter. If you haven’t already filled out ourExplorOz Survey, there is still time and you could be one of ten people to pick up a brand new WAECO fridge/freezer. 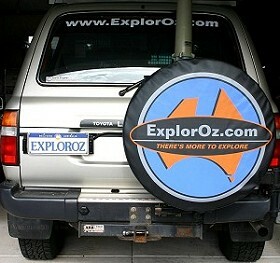 We are proud to announce our new ExplorOz wheel covers in ourOnline Shop with many sizes to suit. In this edition, we also feature some new trek notes from our regular contributors. 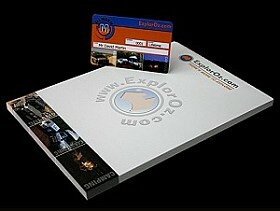 Members now receive a complimentary ExplorOz notepad when renewing or purchasing a membership. Add this to the growing list ofmember benefits, and there is no excuse not tobecome a member! 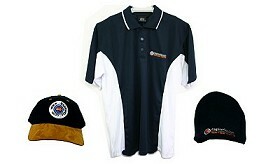 Don’t forget, ExplorOz also sell caps, hats, shirts and beanies which are all very well priced and can easily be purchased from ourOnline Shop. From forests of large River Red Gums, through to dense lignum scrublands of the backwaters and billabongs, the Old Coach Road offers everything that you would expect from an outback trip. Thanks to one of our regular contributors, this new trek note offers travellers an opportunity to visit an area that is very rich in Aboriginal and European History. Salvator Rosa is another remote section of the Carnarvon National Park in outback Queensland. This historic picturesque spot, features spectacular sandstone outcrops and lovely campgrounds on the banks of the spring-fed Nogoa River. We recently made a call-out for fishing photos in the forum (seePost ID 58376) with the offer of 12mthExplorOz Membership for the best photo. Due to the overwhelming response, we decided to up the prize ante to also include a 12mthMembership Renewal and two ExplorOz Merchandise gift packs. The new first prize winner for the best photo went to Scrubcat who received the 12mth ExplorOz Membership. Prizes also went to Member - Ivan (ACT), guy007 and The Rambler. Click forWinning Photos. Our newsletter is distributed to 30,956 subscribers on a fortnightly basis.